JULY 2, MONDAY 10 P.M.
What’s it about? The gang of investigators adds more heat, sweeping the town clean of occasional drug dealers and killers, who soak up the sun in Florida. In this season of CSI: Miami, expect everyone to have a little something on their plates to mull over, starting with CSI top boss Horatio Caine (Caruso) dealing with a murderer who might just be a son he’s never known. Then there’s also the unfortunate Eric Delco (Rodriguez), who’s survived a headshot injury in the past season and could be suffering from memory loss, which leads him straight to the back of the pack. We love anything shot in sunny cities by the beach; even in serious confrontation-multiple-gunshots scenes, you get a dose of bikini-clad beach denizens caught frolicking in the background. 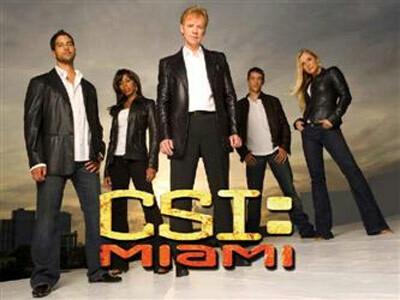 ’Course, no show is complete without the requisite love team-ups, and CSI: Miami is no exception. Even in the middle of tinkering with dead bodies, goo goo eyes are continually thrown across the office.